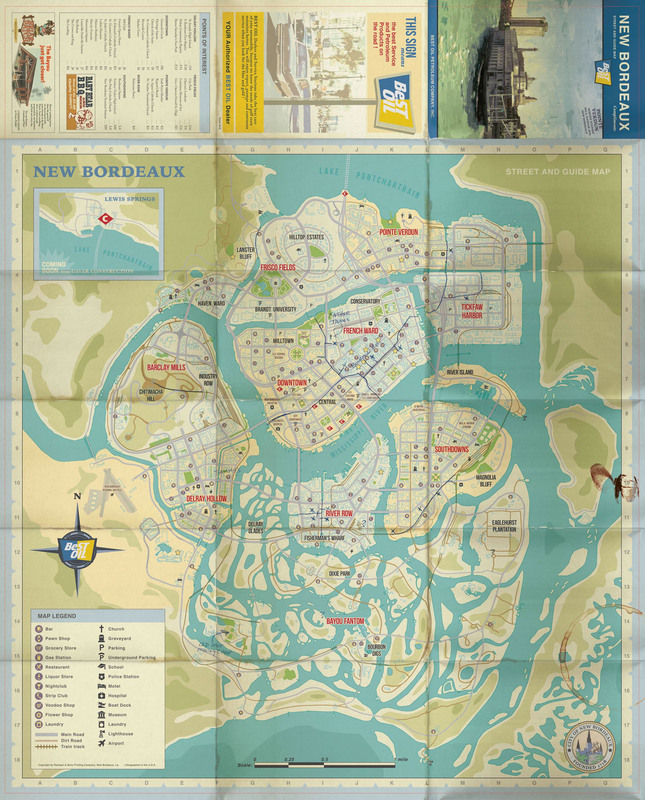 Design of printed world map of New Bordeaux for MAFIA III. 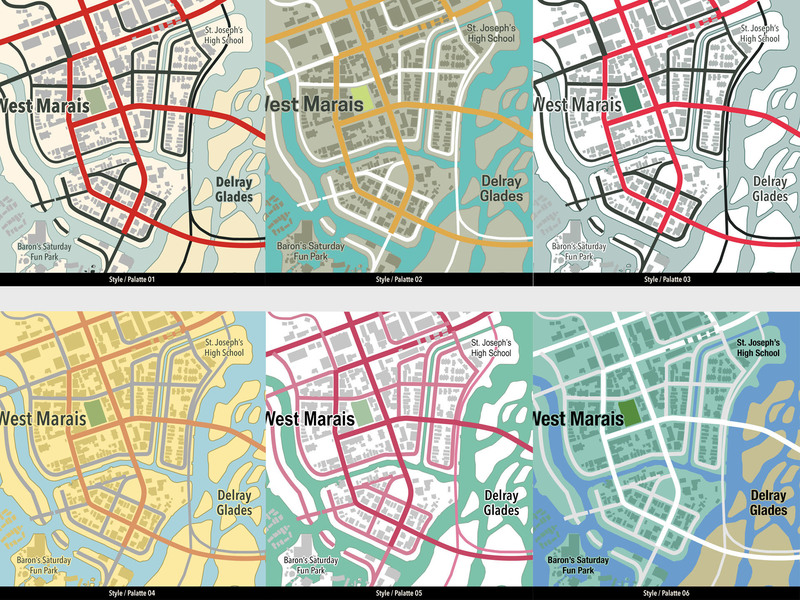 Various color palettes were explored before the final palette was chosen. 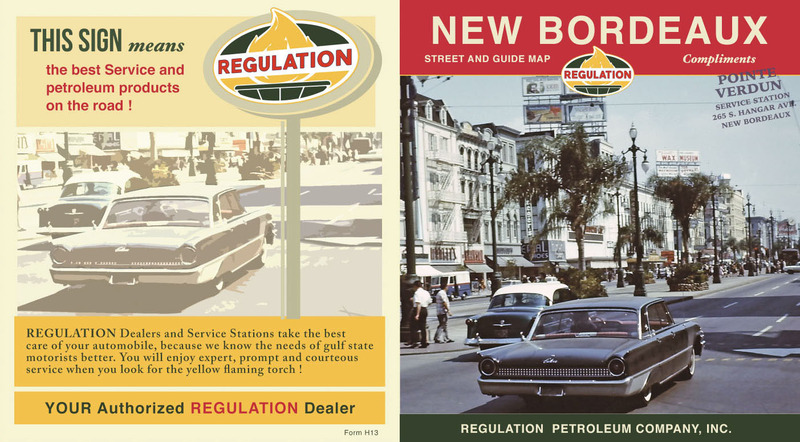 An effects test was done to achieve the visual feel of a printed, mid-century gas station map. 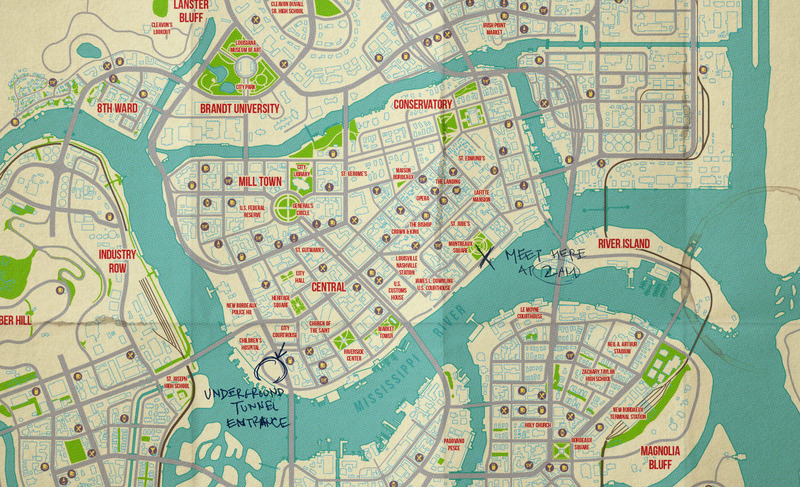 Effects include halftone printing simulation, offset printing anomalies, paper folds, handwriting and coffee stains.